The Sony XC-ST30 is the industry standard for machine vision applications requiring a 1/3-Inch format analog CCD camera. Industrial Camera Sales extends the standard 12 month Sony warranty with an 18 month replacement warranty. 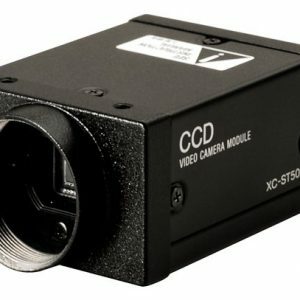 The Sony XC-ST50 is a popular industry standard for machine vision applications requiring a black & white analog CCD camera. The Sony XC-ST70 is an industry standard for machine vision applications requiring a large sensor (3/4) analog CCD cameras.